Toni Piechota published “Real Solutions Weight Loss Workbook” in 2003 and is currently a registered dietitian. 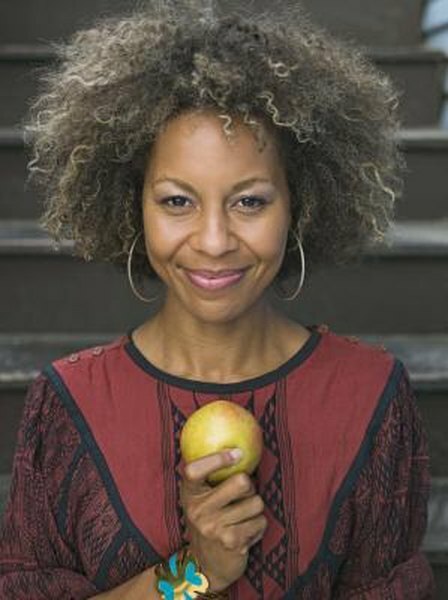 She holds a Master of Science in nutrition from the University of California and a Master of Public Health from the University of North Carolina. Serotonin and dopamine are neurotransmitters that function in different areas of the brain and affect brain function in a variety ways, such as altering blood pressure, promoting sleep, controlling movement and enhancing focus and mood. Antidepressants typically work by affecting levels of serotonin and sometimes dopamine. Studies have demonstrated varying and sometimes conflicting information about how what you eat affects brain levels of these chemicals. Protein foods typically contain the amino acid tryptophan in limited amounts. In the brain, tryptophan is converted to the neurotransmitter serotonin. However, eating protein does not necessarily translate to increased serotonin. First, the tryptophan has to get into the brain through the highly selective blood brain barrier, or BBB. The BBB is a membrane that ensures that only select molecules are allowed to enter. Since tryptophan competes for entry with certain other amino acids, eating proteins such as turkey or milk that contain all of these amino acids will not raise the amount of tryptophan that can enter the brain and convert to serotonin. Eating carbohydrates alone without any protein at all effectively raises the amount of tryptophan that gets to cross into the brain and may actually increase serotonin levels. Carbohydrates cause insulin release, and tryptophan does not respond to insulin as other competing amino acids do. So, at least in theory, eating a high-carbohydrate food that is very low in protein raises serotonin in the brain. Examples of such foods include hard candy and orange juice. The amount of protein that blocks this effect of carbohydrates on brain tryptophan levels is unknown, but it is not high. Even the amount of protein in bread or oatmeal, or about 2g per 15g of carbohydrates, can be too much. Fewer studies have supported the role of the impact of diet on brain dopamine levels and activity in adults. Studies in rats have shown some effect, however. Adult rats who were chronically fed diets low in one or more essential fatty acids have been found to have altered function in specific brain pathways. The researchers hypothesized that these changes could affect motivation, learning and response to reward. To ensure adequate amounts of essential fatty acids, eat flax seed, English walnuts, safflower oil and up to 12 oz. a week of lower mercury fatty fish such as salmon and tuna. While fruits and vegetables are not directly converted to serotonin or dopamine, they contain nutrients that are involved in their synthesis, including folic acid and vitamin C. Fresh fruits and vegetables are best because heat and air can destroy vitamins in foods. So even if you are on antidepressants designed to increase brain levels of serotonin or dopamine, deficiencies of certain vitamins can interfere with the process. Some evidence points to strawberries and spinach as foods that can potentially increase the release of dopamine. They are high in vitamin C and folic acid. And though certain foods such as bananas contain dopamine, brain levels are not affected because the molecule is not absorbed intact.